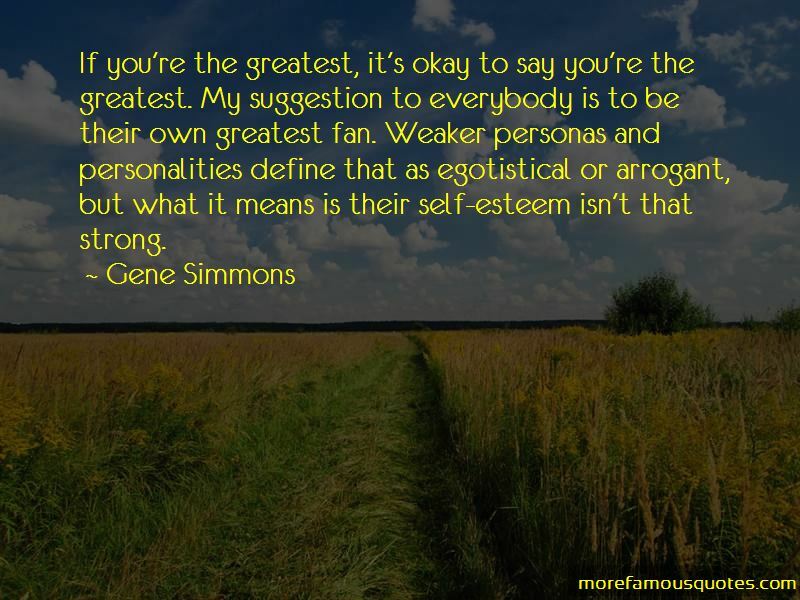 Enjoy the top 151 famous quotes, sayings and quotations by Gene Simmons. “Before I ever knew what the word Entrepeneur was, I realized in America and in the Western part of the world in general, you are given the opportunity to be whatever you want to be. And that is all anyone should ever expect from the Capitalist system. The rest is up to you. Nobody does just one thing. But the real difference between being an entrepreneur and everyone else in the world is the ability to monetize. I am an entrepreneur in the classic mold. I work for everything I've got. I started off as a very poor kid. I want to get paid. If you win a race, you don't ask how you did it, as long as you do it. Kiss is not a charity. Never, ever mix commerce and charity. The only thing wrong with marriage is that one of the persons involved is a man. Music is the only industry where you don't need to know what you're doing to get ahead. Well, that and politics. You need to eat, but you don't really need to eat filet mignon every night or buy bottles of champagne at a thousand a pop. 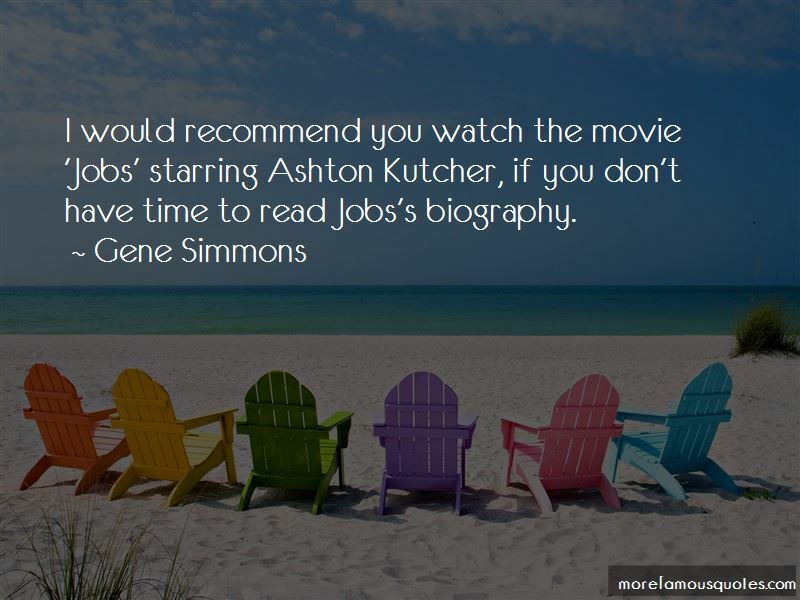 Education, especially business education will only give you tools. What you do with these tools is all that matters. Life and business isn't paint by numbers. You have to think for yourself. You have to invent yourself. You have an inferred fiduciary mandate to yourself, and that means, it's your responsibility to learn people skills, and language skills, in order to increase your chances of success. You also have to be at the right place, at the right time, with the right thing. Mostly and invariably, the real product you're going to be selling is ... .you. Rock bands are a lot like football teams: If a guy is on drugs and messes up, get someone else who's proud to wear the uniform and be part of the team. 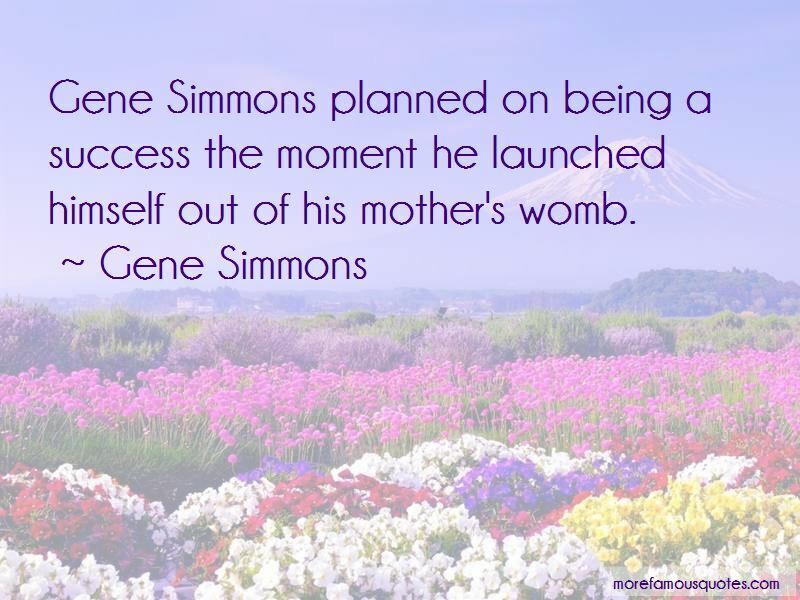 Want to see more pictures of Gene Simmons quotes? 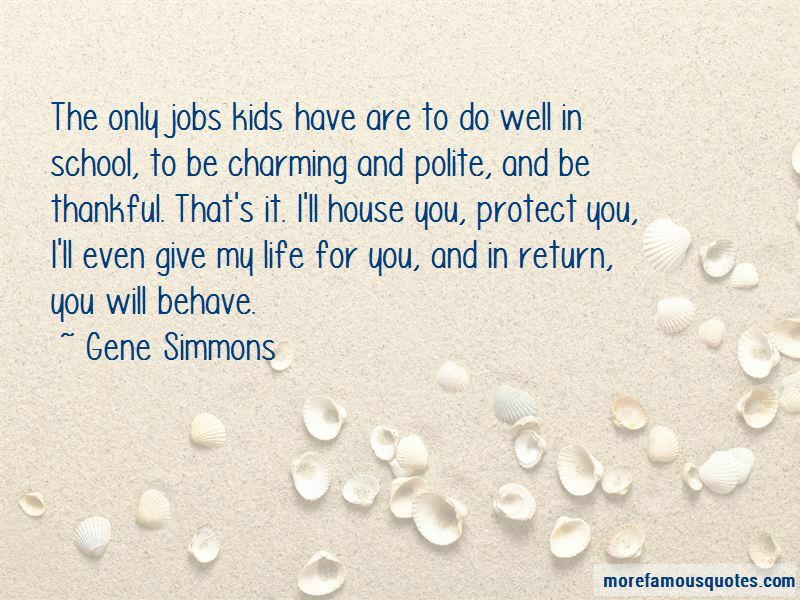 Click on image of Gene Simmons quotes to view full size.